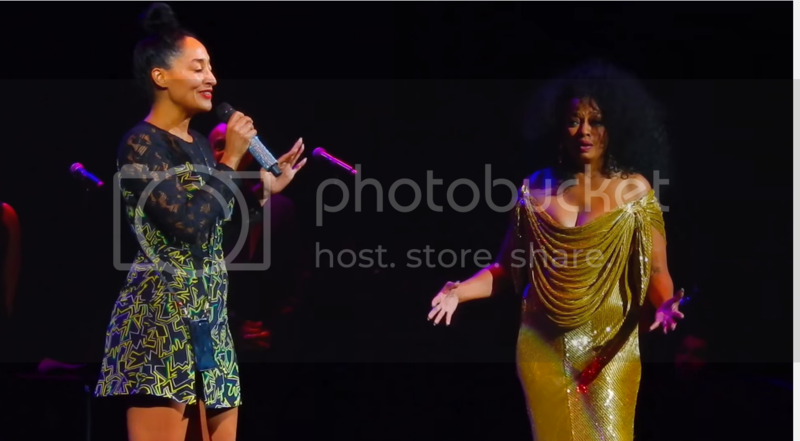 Tracee Ellis Ross Joins Her Mom, Diana, On Stage to Sing "Lady Sings the Blues"
Home diana ross performances Tracee Ellis Ross Tracee Ellis Ross Joins Her Mom, Diana, On Stage to Sing "Lady Sings the Blues"
Tracee Ellis Ross has made a name for herself as a comedic actress, but it's no surprise that the singing gene didn't skip her. She's given us tastes of her musical abilities on her Instagram. But we were treated to a longer dose of her gift when she joined her mom, icon Diana Ross, on stage during her Las Vegas concert. She sang an acapella version of "Lady Sings the Blues" while Diana looked on anxiously. The love between the two was palpable. Watch below.